Tracing the evolution of the human diet from our earliest ancestors can lead to a better understanding of human adaptation in the past. It may also offer clues to the origin of many health problems that we currently face, such as obesity and chronic disease. 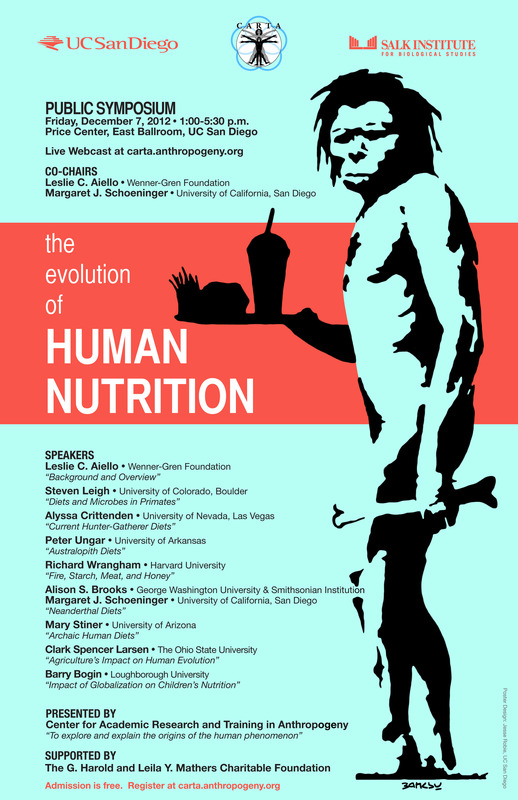 The CARTA public symposium on "The Evolution of Human Nutrition" brought together scientists from a wide variety of backgrounds to explore the diets of our ancestors. What did early humans eat? Were the nutritional requirements and dietary needs of contemporary humans established in our prehistoric past? At this symposium, a lively discussion took place about the changing diets of our ancestors - from australopith diets to current hunter-gatherer diets - and what role these dietary transitions played in the evolution of humans.